Directions: Preheat oven to 300 degrees and line a baking sheet with parchment paper. In a medium to large pot place nuts, sugar, ½ tsp. salt and beer. Place pot on high heat and stir until the mixture comes to a boil. Once it comes to a boil turn down the heat to medium and stir (this process will take about 10-20 minutes); until the syrup is almost dissolve (the syrup should be an inch to half-inch from the pot), once it is almost done sprinkle another ½ tsp. of salt and stir. 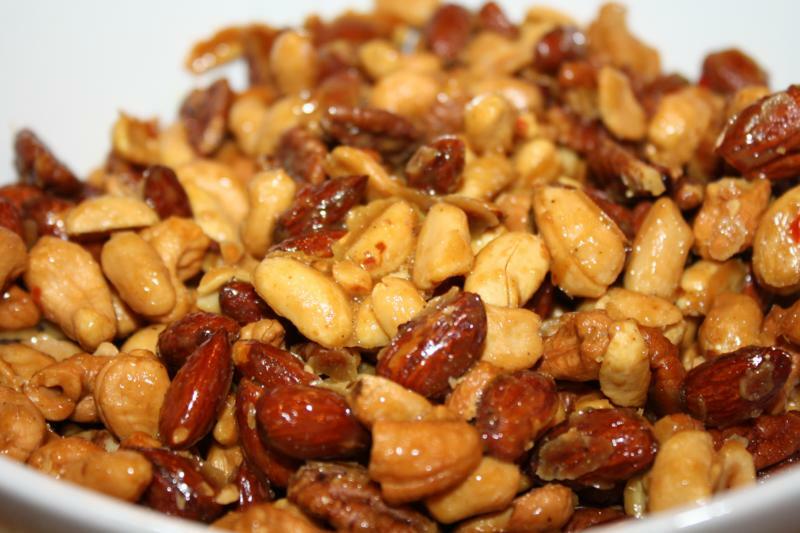 Place nuts on baking sheet and spread with a rubber spatula, place in the oven for 10 minutes. Take nuts out and add pinch of salt and stir nuts with rubber spatula and place in oven for another 10 minutes. Once done let cool and separate nuts and let them cool.